Albany NY | Nobody Move! On this date in 1945, Albany, NY Police Chief William Fitzpatrick was shot and killed in his office at police headquarters. It all started when the Chief’s bodyguard and longtime friend, Detective John McElveney, entered the office at 3:00 PM. The two men began to argue. The argument ended at 3:10 when Detective McElveney drew his pistol and shot Chief Fitzpatrick in the head, killing him. According to the Albany Police and the D.A.’s office, the argument was part of an “ongoing dispute.” Contemporary news reports suggest the dispute was over payment for recent dental work done to correct injuries McElveney suffered after having been struck by Fitzpatrick. Detective McElveney was sentenced to 20 years to life in prison, avoiding the appointment with the electric chair that usually awaited most cop killers back in those days. He was released in 1957, when his sentence was commuted by Governor Averill Harriman. He died of cancer in 1968 at the age of 71. According to Pulitzer Prize-winning author William Kennedy, the late Dan O’Connell, founder and former chair of the Albany Democratic political machine, told him that Chief Fitzpatrick, back when he was a sergeant, was one of the gunmen who killed gangster Legs Diamond in 1931. Of course Chief Fitzpatrick was conveniently dead when this accusation was made, and therefore unable to dispute O’Connell. Or sue him for defamation. 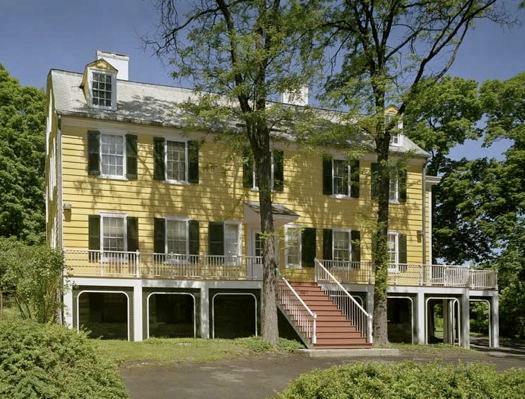 On this date in 1827, farmhand Jesse Strang murdered John Whipple at the Cherry Hill estate in Albany, NY. He was put up to the crime by Whipple’s wife Elsie, with whom Strang was having an affair. Elsie even provided Strang with the gun he used, which she stole from her soon-to-be-late husband. To add insult to (fatal) injury, John Whipple — wise to his wife’s affair and fearing an attempt on his life — actually loaded the murder weapon with the bullet that would kill him. After the shooting, Strang ran to a local store in an attempt to establish an alibi. The police saw through his alibi and arrested him for the murder. He promptly ratted out Elsie, who was then arrested as well. Strang was eventually convicted of murder and sentenced to death. He was executed in the last public hanging in Albany’s history. Elsie Whipple was found not guilty and released. To add insult to (fatal) injury, John Whipple–wise to his wife’s affair and fearing an attempt on his life–actually loaded the murder weapon with the bullet that would kill him. The murder of Legs Diamond remains unsolved, but there were multiple theories about who was responsible. Dutch Schulz was an obvious choice. Lucky Luciano was another likely candidate. Some think it was local Albany thugs, or that the hit on Legs was ordered by Dan O’Connell, the head of the notorious Albany Democratic Machine. The Machine not only controlled politics in Albany, they also ran the local rackets. And they weren’t open to the idea of competition. 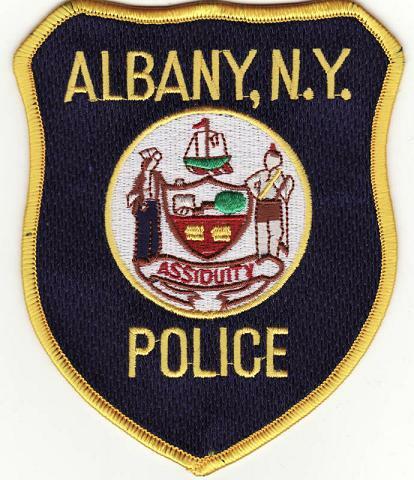 This being the case, the hit may have been carried out by members of the Albany Police Department. Double-crossed ex-partners are always a good bet too, and Legs had some of those out there gunning for him. The best theory I’ve seen so far can be found in Pat Downey’s latest book, Legs Diamond: Gangster, available from Amazon in paperback and ebook editions. 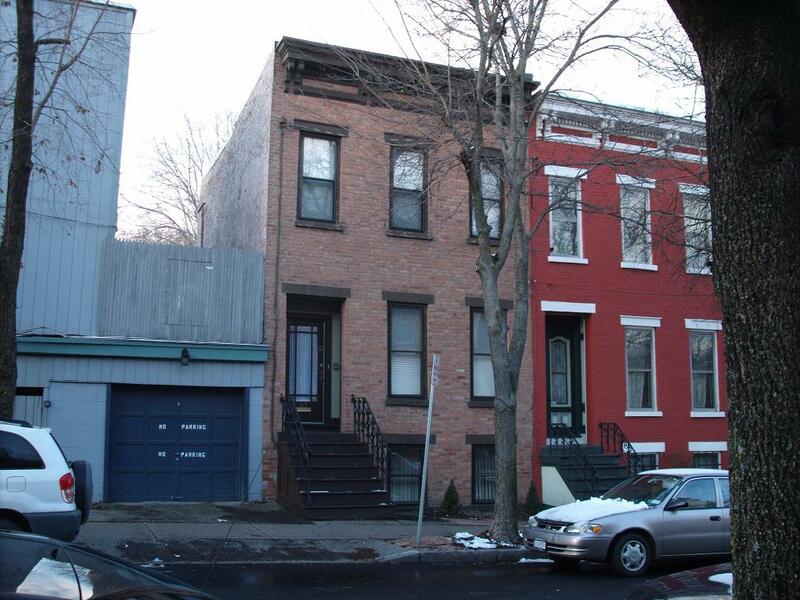 The picture above, which I took seven years ago today, is of the house at 67 Dove Street in Albany, where Legs Diamond was killed. It now belongs to author William Kennedy.